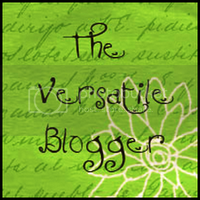 ALIQUID: 2014 Blogger Challenge #1, plus a giveaway! Happy New Year!! I was just getting used to writing "2013" as the date, and now it's 2014 already...weird. This year I'm participating in a bi-weekly challenge with a bunch of other bloggers of all kinds. 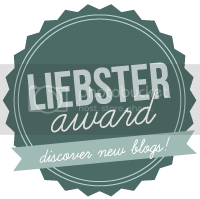 The 2014 Blogger Challenge is organized by Gaby at Another Girly Blog; twice a month we all write posts based on a prompt she chooses. It should be exciting to see what topics she comes up with and how everyone responds to them! 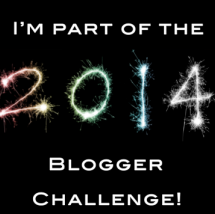 If you want to follow along, you can like the Facebook page or use the Twitter hashtag #2014BloggerChallenge! The first topic for the challenge is "New Years Inspiration--share a quote or a picture that inspires you and you think will inspire others in the New Year." I didn't much like this prompt at first because I'm not big on "inspirational" stuff; I usually just find it to be cheesy and kind of empty. So I thought about my own personal challenges and what advice I'd found most useful. "Don't make it perfect; just get it done." This advice was originally given to me by a linguistics PhD in the context of academic work, but it really applies to all areas of my life. I'm a huge perfectionist, to the point where large tasks give me enormous amounts of anxiety because I'm so afraid of embarrassing myself if I don't get everything exactly right. While perfectionism can be an asset in that I pay really close attention to detail, it has often slowed me down, stressed me out and caused me to pull a LOT of all-nighters. The importance of not striving for perfection hit me a few months ago, when I was working on a polish for ALIQUID Lacquer. My husband came in, watched for a little while, and asked, "But how do you know when a polish is perfect?" I told him as long as I was happy with the result, I wasn't worried about it being "perfect". After all, perfection isn't really possible, is it? So for 2014 I'm going to focus on just getting things done, no matter whether other people can find flaws in what I do. This really applies to all areas of my life--work, blogging, nail art, the nail polish business. I'll try to remember that my own self-worth doesn't rely on the work I produce, but how I feel about myself as a human being. I hope other perfectionists out there will try along with me! And now, here's your reward for making it through my ramblings...Marbles for Polish is celebrating 500 Facebook likes, and she's teamed up with several indie polish makers and bloggers for a huge "New Year, New Goodies" giveaway! I'm giving away a bottle of ALIQUID Lacquer Quiet Night In and a vanilla-scented lip balm. Visit the giveaway page at Marbles for Polish for a full list of prizes. You can enter the giveaway right here; you just have to be over 18 and a resident of the US or Canada. Good luck! I'm excited to be starting a new year in a new place and creating a new life for myself! Excited to see what nail polish makers are going to come up with next! Happy New Year and good luck everyone! I'm excited to improve myself and have a better year. Focusing on just getting things done is definitely something I need to work on. I learned that I am a perfectionist, which drives my procrastination, not a good mix. It makes the real world difficult to navigate. I'm most excited that, after 5 years, I'm finally going to graduate from college. I haven't given a thought to the new year yet, have been so focused on a work project that a customer finally got around to pushing forward right before Christmas, and I've just had tunnel vision about getting that done and taking some time off. I'm excited about the possibility of starting my career! I'm excited about seeing my family more. I am excited about the possibility of becoming pregnant! I am excited about my husbands new job that starts next month that takes him from working evenings (2p - 11p) to working days (8a - 5p)! Excited to be getting things in order to move to Washington! Fresh start! 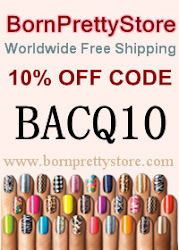 I am excited to see what new nail trends emerge this year! Thank you for the giveaway!! My New Years goal is to be a little more organized! getting my life back and getting healthy! !